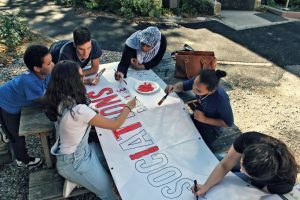 The European Solidarity Corps is a new European Union initiative (since the 7th of December 2016) that gives young people the opportunity to acquire valuable experiences, to build their skills and to contribute to the society they live in. Previously called European Voluntary Service, the ESC is in a transition phase. The volunteering component offers, thanks to a grant, the opportunity to perform a full-time voluntary service for 2 to 12 months. The SVI is actively involved in this component. The internship component offers the opportunity to work as an intern for 2 to 6 months. The professional component offers the opportunity to find a job, an internship or a training in different fields, involved in solidarity activities and looking for motivated young people. Be careful, the ESC is by no means a linguistic training, holidays, tourism or a humanitarian mission (emergency assistance after a catastrophe). The objective of the ESC is to allow a large number of young people to take part in a wide range of solidarity activities, by volunteering, internship or professional immersion actions in the European Union. The European Solidarity Corps allows you to engage in various projects. They can cover fields such as education, healthcare, social and professional integration, assistance in the supply of food and other products, shelter construction, site construction, renovation and management, reception and integration of migrants and refugees, environmental protection and natural disaster prevention. The SVI Belgium is accredited as a coordinating and sending association within the framework of European Solidarity Corps. Since 2017, SVI France has also been accredited in France. Through this accreditation and the resulting financial support, the SVI aims to enable more young people to leave for an international volunteer experience by reducing financial obstacles. By taking part in the ESC programme, the SVI wants to reaffirm its commitment : volunteering is a civic and trainer act that must be available to all. 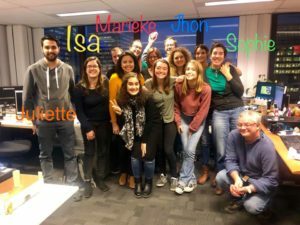 The European Solidarity Corps may be useful for your career perspectives, but it can also provide other benefits, according to the type of project. If you decide to volunteer, you won’t get paid, but your travel, accomodation, food and insurance fees will be supported during the whole project. You will receive adequate training before leaving and when you arrive. Participants to an apprenticeship or an internship will sign, in some countries, an employment contract drawn up in accordance with the national regulations of the host country. They will receive daily allowances. Participants to a professional training will always have an employment contract and will get paid in accordance with the legislation, with regulations and with local collective agreements. Countries of the European Economic Area (EEA) : Austria, Belgium, Bulgaria, Croatia, Cyprus, Czech Republic, Denmark, Estonia, Finland, France, Germany, Greece, Hungary, Iceland, Ireland, Italy, Latvia, Liechtenstein, Lithuania, Luxembourg, Malta, Netherlands, Norway, Poland, Portugal, Romania, Slovakia, Slovenia, Spain, Sweden, United Kingdom. Young people can apply for European Solidarity Corps from 17 years old, but they have to be 18 to start a project. They have to be done with the project before they turn 31. They also have to legally reside in a member state of the EU or in one of the following countries : Island, Liechtenstein, Norway, Turkey, former Yugoslav Republic of Macedonia. Careful : some projects have additional restrictions on age, legal residence or nationality, depending on the type of project and its financing method. Don’t forget that your choice of projet has to reflect a passion and a desire that you want to achieve through a local project. The ESC is an important personal commitment in which your sending association will support you during the whole experience. Please note that it takes about 6 months (the time to find your project and your host and sending association, to submit it) before you start a volunteer project. Also, if you want to take part in international volunteering, we can support you through this process. International volunteering consists in going on an international workcamp individually and self-financing. Please take a look at our projects on the SVI website via our search engine.